In addition to our Recruitment & Executive Search activities, we are the official China Representative of international schools and universities. Mrs. Suzy MA, VP Education China, Founder of Acropolis Associates China is the head of this business unit. Suzy is in charge of local marketing, information exchanges and building partnerships with Chinese educational institutions and officials. Click here to know more about Suzy MA. Suzy has an extensive experience in HR and Education. She was actively involved in the establishment of the French Management School of Lyon (EM Lyon) in China and was actively in charge of the establishment, promotion and representation of the Alumni Club in China (EM Lyon China Club). Suzy is currently the official China Representative of the Grenoble University Business Institute (IAE Grenoble) in China. 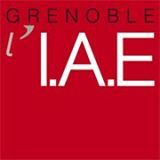 The Grenoble IAE is a member of the French network of Graduate Business Schools (30 IAE institutes offering 400 management degrees enrolling circa 30,000 students). This network also fosters the exchange of ideas and provides a strong incentive to enhance each Institute’s curriculum through constant benchmarking. The Grenoble IAE has developed a privileged partnership with the SISU (Shanghai International Studies University). A group of 10 to 15 postgraduate students participate in a yearly exchange program with the school in France, receiving in return students in China. 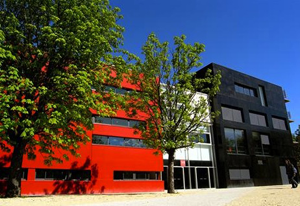 The exchange program has now been extended to include Shanghai University which, since 1998, offers a Franco-Chinese Executive MBA program (MBA France-Chine) delivered in conjunction with three French business schools: Ecole de Management de Lyon (EM Lyon), Grenoble Ecole de Management (GEM) and IAE de Lyon.